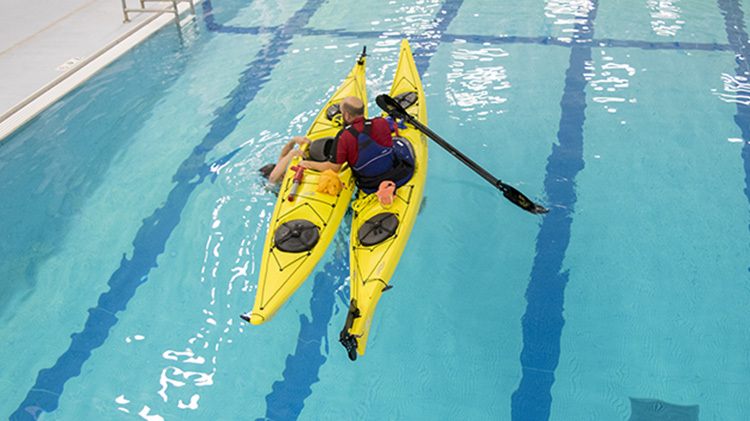 Date: Apr 16 2019, 7:30 p.m. - 9:30 p.m.
We offer five levels of our 2-hour kayak skills class. At level one you will be taught proper paddling techniques and how to buddy rescue. The second level covers edging maneuvers and self-rescue. At the third level you will master recovery techniques and muscle memory exercises for the roll. The fourth class will cover multi-day kayak trip prep and T-rescue. The fifth class will focus on learning kayak roll. Start at any time and master as many of the 5 levels as you would like! After the 5th level we can continue to perfect your roll.